The Vantage hotel estate comprises 12 community-based hotels around Tasmania, which provide a range of bar, gaming, bistro, accommodation and entertainment services to our customers. 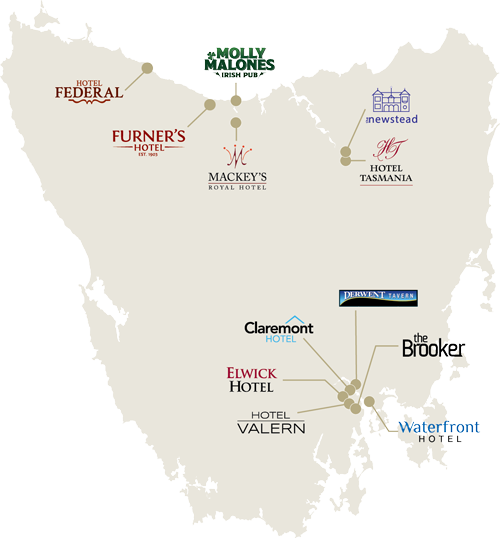 12 Hotels across Tasmania providing bar, gaming, bistro, accommodation and entertainment. The 9/11 Bottleshop chain operating 19 outlets across Tasmania and the Gasworks Cellar Door.